Ice-age – Len Bilén's blog, a blog about faith, politics and the environment. Earth Day 2017. Real Climate Change. to celebrate Lenin’s old birthday. Eat less! Let it be a “Less Girth Day! We are called to take care of ourselves, be good stewards of the Earth, and strive to leave it a better place than we entered it. To do a good clean-up job takes a lot of energy. That is true for the whole Eco-system as well as the toilet bowl. All our energy comes from the Sun in one way or another, except for nuclear energy. If the cosmic radiation changes, or the total energy output from the sun changes, or our polar orbit and attitude changes, all of these factors will lead to climate change. The normal state for the earth is an ice-age, interrupted by shorter warm periods. We are now at the bog-building phase of an interglacial period, which means, the next phase is another ice-age. This warm period is unique since we are experiencing rapidly increasing levels of CO2. Will that cause a rise in temperatures rendering the earth uninhabitable, or will it prolong the warm period, or – will it hasten the arrival of the next ice-age? According to 75 out of 77 ( the origin of the “97% of all”…. )Climate Scientists that in the previous 5 years had published multiple, peer reviewed papers, paid for by their respective academic institutions, claim “The science is settled”, and we will experience a rapid climate change, rendering parts of the world uninhabitable, and a series of other calamities will befall us unless we take strong, immediate action to reduce the output of CO2 from burning fossil fuels. But there are in excess of 30,000 other scientists that have signed up “Science is by no means settled” and CO2 is not a pollutant, but a life giving gas that is only a minor contributor to the temperature rise. Other factors are at least as important and we should concentrate on real pollution, clean air and clean water. The last ice age had lasted for over 50,000 years. The ice stretched over most of North America down to the Finger Lakes. Western Europe down to Mid Germany and extending into Western Siberia were also under heavy ice. For some reason Eastern Siberia and Western Alaska was not under heavy ice. The sea level was about 400 feet lower than today and then suddenly temperatures rose, and after a 300 to 500 years delay C02 levels rose from about 185 ppm, barely sustaining life up to about 280 ppm, after which CO2 levels stabilized and remained in a slight decline until recently. 10,000 years ago: The Baltic ice lake. Outflow through Oresund, Rapid ice melt, temperature about the same as today, CO2 280 ppm. 9000 years ago: The Yoldia Sea. As ice recedes, salt water enter for a short while until land rises to again form a lake. CO2 280 ppm. Temperatures slightly higher than today. The largest of Brobacka’s “jättegrytor”, with a diameter of 58 feet. This particular giant kettle might have been mostly formed by a stream under the ice cap while the ice was melting. 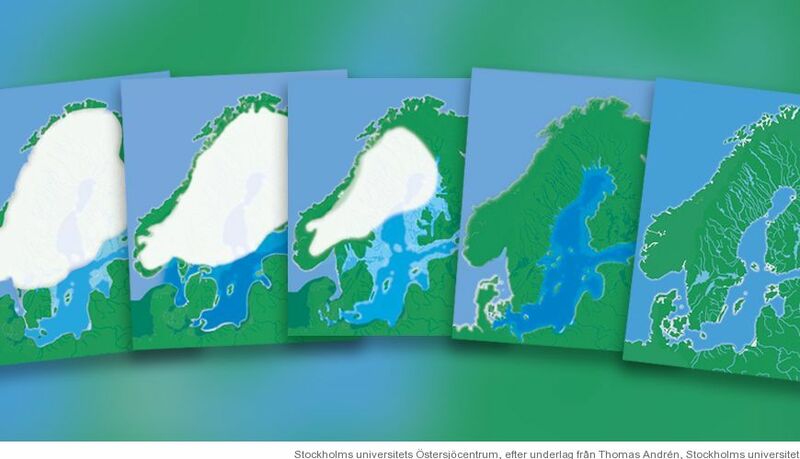 6000 years ago: Most of the inland ice has now melted, and the Oceans have risen to today’s level, so the Belts and Oresund open up and the Litorina Sea is formed. temperatures are higher than today, CO2 level 280 ppm. 3500 years ago: The Minoan warming period. Temperatures much warmer than today. Elm, Hazel, Oak and Linden grew way up in the Bothnian bay, today the northern limit is about 250 miles further South. The CO2 level 280 ppm. 2000 years ago: The Roman warming period. Great times up North. Wine grapes grew in the British Midlands, the Scandinavian population grew rapidly. CO2 level 280 ppm. 1500 years ago: Climate is turning colder, migrations out of the Nordic and Germanic countries. Harvest failures. CO2 level 280 ppm. 1200 years ago: Rapid depopulation, Bubonic Plague, failed harvests, mass starvation, climate turning much colder. CO2 level 280 ppm. 1000 years ago: Medieval warming period. Climate about one degree warmer than today. Leif Ericson sails to America. Cheese farms established on Greenland. CO2 level 280 ppm. 500 years ago: Little Ice age. Climate much colder than today. The Swedish army, including artillery crosses the Belts on ice in 1658. CO2 level 280 ppm. Why am I going through all this? All these climate changes occurred with the CO2 level being constant at 280 ppm. 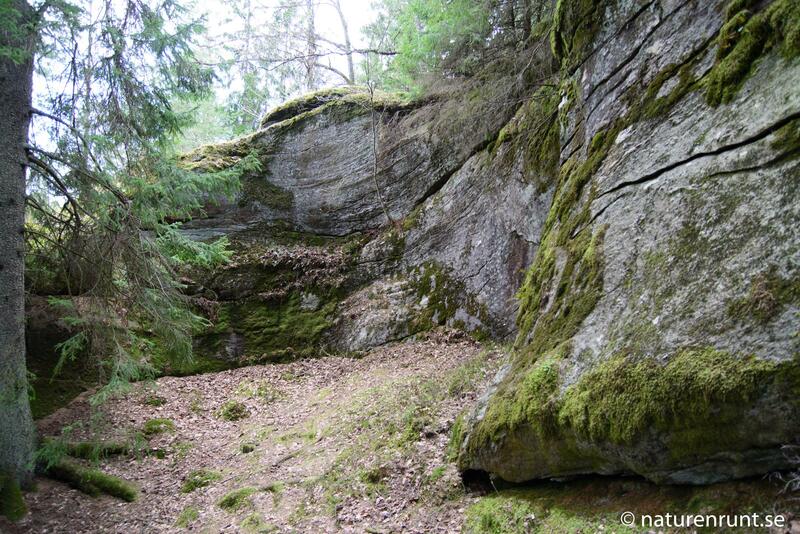 The land in Northern Sweden is still recovering from the Ice age, and land is still rising out of the ocean at the rate of up to three feet per century. The temperature is still recovering from the little ice age, but is not yet back to the Medieval Warming period, much less the Roman warming period, not to mention the Minoan temperature optimum. 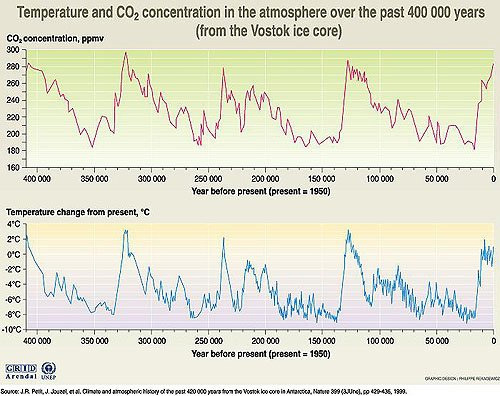 The CO2 level has risen to 405 ppm, but CO2 is only a minor player in affecting Climate change. As I have mentioned in a previous blog: https://lenbilen.com/2017/04/10/thanks-to-clouds-the-temperature-governor-is-alive-and-well-on-planet-earth/ clouds are the temperature regulators, and it will do us well to concentrate on the real threats to our earth on Earth Day, such as clean air (CO2 is clean air) and clean water. I understand there is going to be a March for Science this Earth Day. An advice to the marchers: Look up to the sky. If there are any clouds, especially cumulus clouds, look how they form, change and dissipate, and marvel that they are the regulators of the climate so we never have to worry about a thermal runaway, no matter what level of CO2. We will have another ice age though, but more CO2 will delay its onset. Posted on April 20, 2017 April 20, 2017 Categories climate, CO2, energy, environment, limerick, pollutionTags clean air, clean water, Climate change, CO2, Earthe day, environment, Ice-age, little ice age, march for science1 Comment on Earth Day 2017. Real Climate Change. A Climate Realist’s not so short Answers to Hard Questions About Climate Change. Question 1 (of 16) How much is the planet heating up? JUSTIN GILLIS NOV. 28, 2015 gave his answers to 16 questions in the N.Y. Times regarding Climate Change. So we’ve put together a list of quick answers to often-asked questions about climate change. This should give you a running start on understanding the problem. “1.7 degrees is actually a significant amount. As of October 2015, the Earth had warmed by about 1.7 degrees Fahrenheit since 1880, when records begin at a global scale. That figure includes the surface of the ocean. The warming is greater over land, and greater still in the Arctic and parts of Antarctica. The number may sound low, but as an average over the surface of an entire planet, it is actually high, which explains why much of the world’s land ice is starting to melt and the oceans are rising at an accelerating pace. The heat accumulating in the Earth because of human emissions is roughly equal to the heat that would be released by 400,000 Hiroshima atomic bombs exploding across the planet every day. As of February 2016, the Earth has warmed about 1.8 degrees Fahrenheit since 1880, when records began at a global scale. That figure includes the surface of the ocean. The warming is greater over land, and greater still in the Arctic and parts of Antarctica, but there is very little warming in the tropics. Since pre-industrial times the CO2 level has increased from 280 ppm to 405 ppm, an increase of about 45%, and we know that for every doubling of CO2 temperatures will rise about 1.6 degrees F unless other factors dominate, such as positive or negative temperature feedbacks. During ice-ages global temperatures hover around 10 degrees F colder with CO2 levels around 185 ppm. 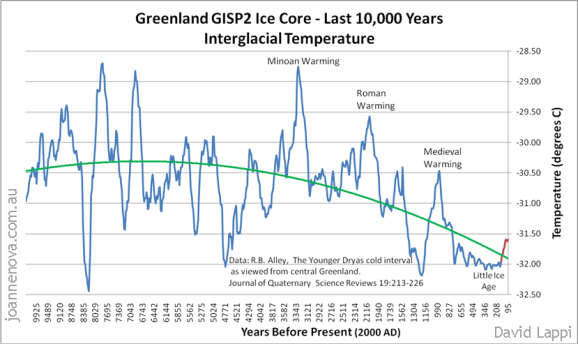 Global temperature was about 6 degree F colder than today and in about 4000 year time temperature rose rapidly and we came out of the ice age. During that time, and with a 300 to 800 year delay CO2 rose from 185 ppm to 265 ppm, a 43% rise. Coming out of the ice age, if CO2 was the only factor, the effect of doubling CO2 would increase global temperatures by 11.5 degrees F.
Al Gore saw the charts, and got so alarmed that he wrote “Earth in the balance.” What he didn’t take into account was that the major rise in temperature was not due to the increasing CO2, but the loss of albedo when the ice melted. CO2 played a supporting role, a lagging one. Then, around 9000 years ago temperatures stopped rising, CO2 levels stabilized and we entered a period of relative stability. What happened? The albedo came back, this time in the form of increasing clouds. Once the oceans got warmer and stabilized, there was enough water vapor in the air to make more clouds, and so stabilize temperature. Since then temperatures have been on a slow decline, and the trend was accelerating until the ” little ice age”. There were 3 notable warming periods, the Minoan, the Roman, and the Medieval warming period. During the Roman warm period wine grapes were grown almost up to the Hadrian Wall. It is well documented, and in Northhamptonshire, England there were at least 9 flourishing wineries..
was good, not excessively fine. of Climate Change past, that’s my line. The the dark ages came and grapes no longer ripened in England. 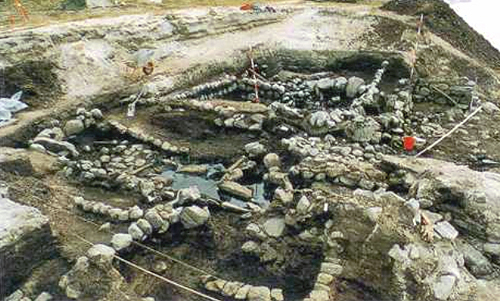 During the Medieval Warm Period there was at least one cheese farm on Greenland “Gården under sanden”, abandoned as the glaciers regrew, starting the “Little Ice Age”. During the little ice age it got so cold, that in Jan 1658 the Swedish army crossed the Great Belt of Denmark over ice, canons and all, and sacked Copenhagen. We are still recovering from the “little ice age.” 2016 may have been a warm year, but most years since the ice age were warmer. See Chart. 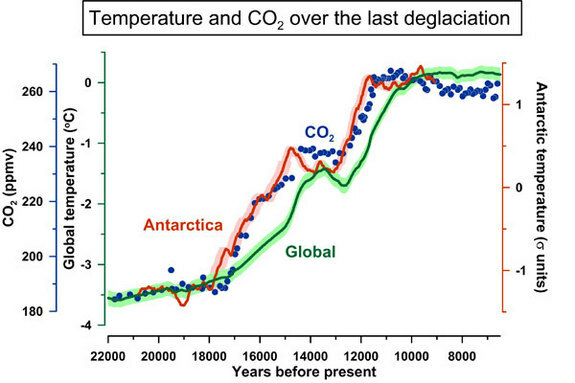 We are still in the sweet spot of a remarkable stable Climate, only more CO2 will save us from a new Ice Age. We are not yet back to the Medieval warming period, much less the Roman and even less the Minoan. A doubling of CO2 will not get us back to the Roman warming period since the negative feedback from clouds will dominate and limit the temperature rise. As to the fear mongering claim that “The heat accumulating in the Earth because of human emissions is roughly equal to the heat that would be released by 400,000 Hiroshima atomic bombs exploding across the planet every day,” I can only say that the energy from the sun is equivalent to over 25oo Hiroshima bombs per second, or about 540 times as much as comes from human energy production, about 0.2%, hardly anything to worry about. Posted on March 20, 2017 March 28, 2017 Categories climate, CO2, energy, environment, limerick, pollution, thoriumTags Al Gore, Climate change, CO2, Ice-age, Limericks, little ice ageLeave a comment on A Climate Realist’s not so short Answers to Hard Questions About Climate Change. Question 1 (of 16) How much is the planet heating up? Give thanks for “the pause” and clouds. A Limerick. the climate is stable. Applause! Posted on February 24, 2016 February 24, 2016 Categories climate, CO2, environment, limerickTags Climate change, clouds, CO2, Ice-age, LimericksLeave a comment on Give thanks for “the pause” and clouds. A Limerick. Thought for the day: In the middle of “Snowmageddon”, thank God for creating a wonderful ecosystem! Genesis 1: 6-8 And God said, Let there be a firmament in the midst of the waters, and let it divide the waters from the waters. And God made the firmament, and divided the waters which were under the firmament from the waters which were above the firmament: and it was so. And God called the firmament Heaven. And the evening and the morning were the second day. I marvel at God’s creation, especially when it shows its full power. The bird feeder got repaired just in time for the snowstorm, the birds are now flocking to it. We put out the Christmas tree next to it, so the birds can have close shelter when the stealer boys, the Blue Jays come and take over the feeder. I marvel at the persistence of all the small birds, surviving in these conditions. In Creation, God, the Word and the Spirit created all matter. The water was created before light. And God saw that it was good. That was the first day. The second day God made the feedback loop of water vapor evaporating, rising to make clouds and giving rain and snow to form a functioning eco-system. So God took a whole day out of Creation just to make the clouds? And He didn’t even say it was good? He said it was good after all the other days of Creation. In the sixth day of Creation, after creating man, God even said it was very good, and then rested on the seventh day! The reason is the total ecosystem does not function well and be stable until all components, clouds, rain, snow, grass, plants, trees, animals and yes, even man are in place. The story of Creation explains Creation spiritually, but leaves out a lot of details. To understand the functioning ecosystem one has to go about it scientifically, that is: Look at nature and what happens to Earth when something changes, such as burning fossil fuels and produce more and more CO2. Is that good or bad? The last ice age ended with a massive melting of ice. The northern ice cap extended as far south as the Finger Lakes in North America and the middle of Poland in Europe. Something caused a disturbance to start the melting of the ice. Once going, more ice melted and exposed bare earth and more ocean for even more warming, and a chain reaction started. 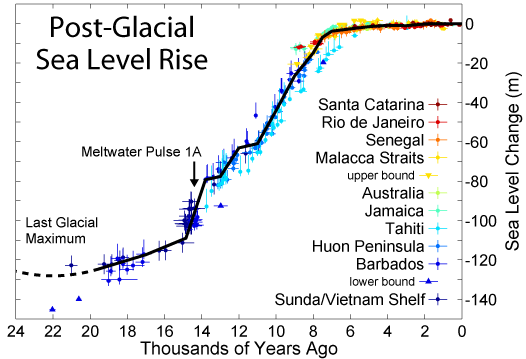 What had been a stable ice cap for thousands of years melted in a very short time. The level of CO2 was low during the ice age, but as soon as the ice melted some CO2 got released from the ice, and even more from the warming oceans, so with a lag of about 800 years the CO2 levels rose as well. The temperature rose and rose until suddenly they leveled off in what is called the Minoan optimum, with pleasant temperatures. Since then it has gotten gradually colder with small warm periods such as the Roman and Medieval Warm period, and colder periods, the last of which was the Little Ice Age. During the ice age evaporation was much less than now. Snowfall over Greenland was about half what it is today, and there were significantly fewer clouds in the ice covered areas, much like Antarctica is today, an ice desert. This is what happens: As temperatures rise, more water evaporates and clouds form more often and earlier in the day causing a strong negative feedback so it doesn’t get as warm as it otherwise would have been. This limits the surface temperature to about 88F when thunderstorms occur. If no clouds form it can get substantially warmer. Take New Delhi, India for example. During May the sky is without clouds and temperatures can reach 115F during the day. When the monsoons come in June-July the temperature stays below 100F with high humidity. We are now well into the bog building phase of the inter-glacial period and the next ice age can start at any time. In fact, it was narrowly averted after the little ice age. With burning more fuel, creating more CO2 we delay the onset of the next ice age by a few thousand years. In addition, added CO2 grows more plants, making it possible to feed an additional two billion people on earth without starving. By lessening the temperature differences between the poles and the equator, storms, hurricanes and tornadoes will be less severe. Droughts will be less severe. Water will be more abundant. The only drawback is that floods will increase, but if we know they can come we can prepare for it. The conclusion after this long harang is: When you see a cloud forming, thank God for providing a functioning ecosystem, and when you see a rainbow in the sky thank him again for his promise. Posted on January 23, 2016 January 30, 2016 Categories Christian, climate, CO2, environment, faith, testimony, thought for the day, waterTags Christianity, Climate change, CO2, eco-system, faith, Ice-age, little ice age, thought for the dayLeave a comment on Thought for the day: In the middle of “Snowmageddon”, thank God for creating a wonderful ecosystem! Global warming? 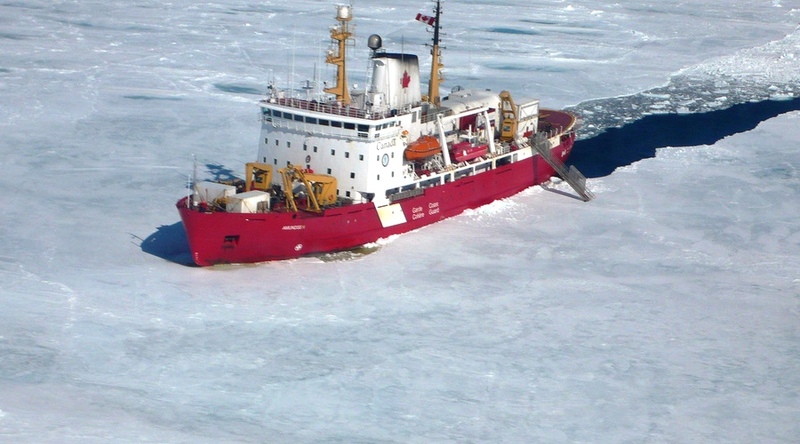 Ice-breaker rerouted to Hudson Bay to assist commercial ships rather than doing research on global warming. A Limerick. the Amundsen did turn away. Must break Ice down in Hudson’s ice bay. During the summer, the Amundsen operates as a floating research center studying climate change with experiments running 24 hours a day. This year it was scheduled to reach North Baffin Bay. This is the slowest melt of the Hudson Bay ice in many, many years. And the melt season is rapidly ending. All Ice Ages start in the Hudson Bay region, not the North Pole. Posted on July 22, 2015 August 6, 2015 Categories climate, environment, limerickTags CCGS Amundsen, Climate change, Global Warming, Hudson Bay, Ice, Ice-age, Limericks, North Baffin Bay1 Comment on Global warming? Ice-breaker rerouted to Hudson Bay to assist commercial ships rather than doing research on global warming. A Limerick. A new record for ice cover in Antarctica. More CO2, please. (1) The total ice cover in Antarctica set a new all time record. According to NOAA’s Sea Ice Extent it turns out day 265 set an all time record, and then day 266 (Sept 22nd) broke that record. Days 265 through 270 are now the 6 highest Antarctic Sea Ice Extent’s of all time (in the satellite record)! 11 of the top 15 extents are now in 2012. (2) A) In the Antarctic, at the time of maximum sea ice extents, the “edge” of the sea ice very closely approximates a “crown” around the continent between latitudes 60 south and 62 south. At those latitudes, ANY increase in Antarctic Sea Ice extents will significantly increase energy reflections from the ice, and reduce the absorption of energy from the sun into the newly covered ocean waters. The result – of ANTARCTIC sea ice maximums expanding – is increased heat loss from the earth into space, and decreased global temperatures. B) In the Arctic, on the other hand, all of the sea ice is now concentrated in a single “Beanie” cap around the north pole. This cap can be very closely approximated as a cap extending from the pole down to latitude 80 degrees (for 4 million km^2 sea ice) or to 81 degrees for today’s 3.4 million km^2 sea ice extents. However, at those very high latitudes, during the time of minimum sea ice extents at the equinox, more energy is lost from the exposed ocean surface by radiation into space and evaporation (both of which will begin as soon as the sea ice “insulation” is melted out) than is gained by the ocean surface absorbing sunlight. 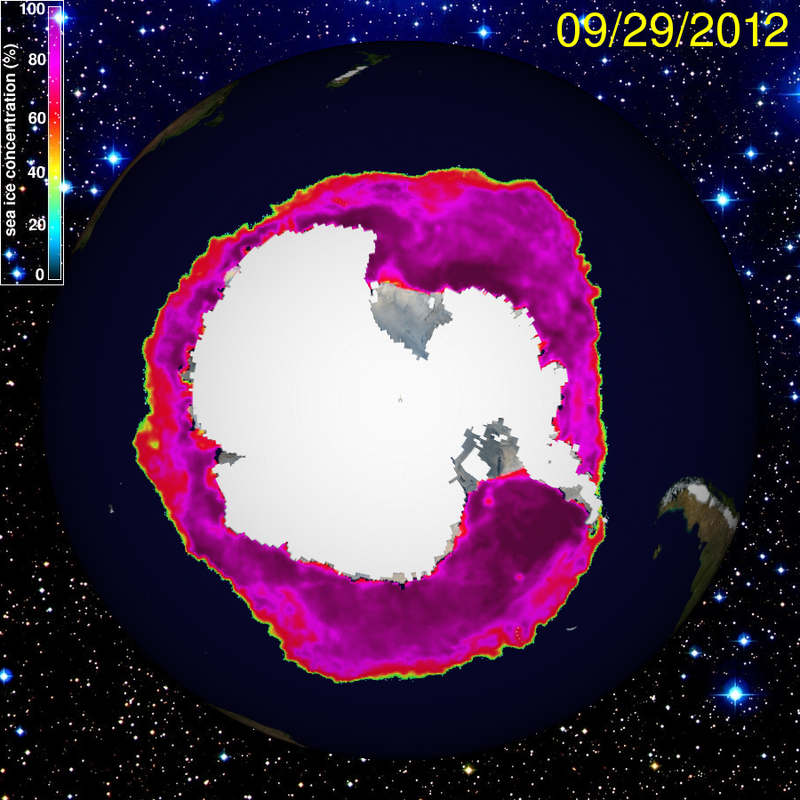 NOTE: This effect, the reverse of the conventional CAGW alarmism about sea ice albedo! – is ONLY true for the far north latitudes. But, then again, those are the only latitudes where sea ice exists at the present minimum, so it is pointless and distracting and wrong to worry about any other latitudes …. FOR ARCTIC SEA ICE. (3) Conventional “wisdom” according to IPCC dictates that there is a strong positive feedback between CO2 levels and global temperatures, so that a doubling of CO2 would yield a global temperature increase of between 3 and 5 degree Celsius. If there was no gain in the system, a doubling of CO2 levels would cause a 0.9 degree increase. However, there is a strong negative feedback due to changes in the cloud cover and associated thunderstorms so the net effect is an increase of the global temperature of no more than 0.3 degree C. This can be verified by calculations using a simple observation of the earth’s temperature response to the varying amount of solar influx in the Northern and Southern Hemisphere over a year. (4) For every doubling of CO2 levels the trees, plants and grass will increase their growth by 30 to 70% dependent on the species. This effect will level off at about 1200 ppm, so we can use this effect to feed an additional two billion people, or alleviate the starving that is already occurring. Conclusion: We need more CO2, not less, to help feed the world and stave off the coming Ice-age for a little longer. Posted on September 30, 2012 Categories climate, CO2, environment, limerickTags climate challenge, CO2, Global Climate Disruption, Ice-age, LimericksLeave a comment on A new record for ice cover in Antarctica. More CO2, please.